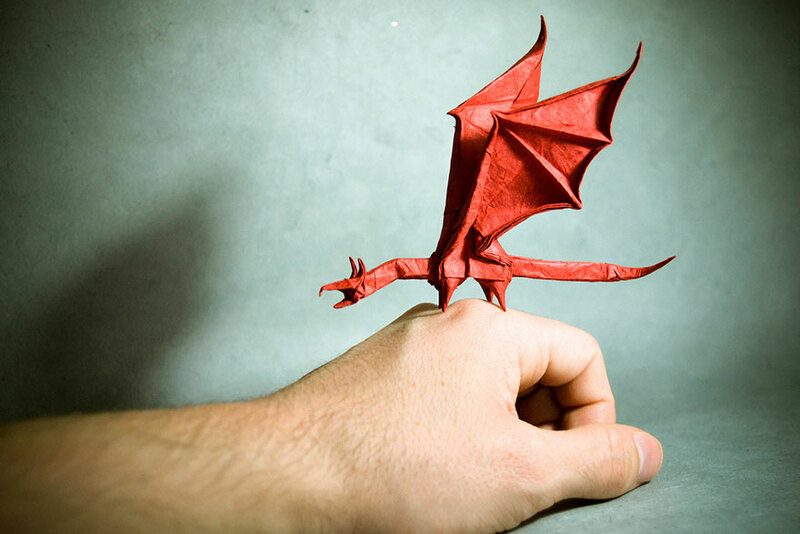 Madrid-based full time musician Gonzalo Garcia Calvo has amazing origami skills. He explores many themes, but his true passion is animals. Gonzalo usually uses only one sheet of paper to create his intricate pieces. Even though there are exceptions (for example, the T-Rex skeleton required 21 squares of 8x8cm newspaper), it’s amazing to see, that a person is able to transform a flat piece of paper into a lifelike three-dimensional animal.